The memories are a gift, a legacy of hours sitting in circles in Grandma's back yard. We serenaded the neighborhood with folk songs and harmony's beauty that hopefully camouflaged the bad voices. There is a hodge-podge of instruments including kazoos. We made up in love of music what we lacked in stage quality. And now my daughters have taken the passed baton. They sing in the other room, squeezed in together at the desk chair, intent on the screen. The YouTube karaoke is blaring. So are their voices. They belt out, uninhibited, Adele and Taylor Swift. Their harmony is sweet and sometimes gone-off-key. They laugh, regroup, and pick up where they left off. For hours they sing and fill my home with their music, and my mind with my memories, until we send them off to bed. They don't know it, but they are cementing their own family memories. It is a gift they give me, but it is also a gift my family's legacy gives them. Because music speaks to the part of us that never forgets. My mother-in-law, succumbing to Alzheimer's, struggles with our names but can still sing How Great Thou Art. She's falling asleep to all that she has known except the lyrical and melodic. Music reaches us in places that are untouchable by other means and cements its place there, a finger in wet cement scrawling, "Music was here," that hardens through the years into immeasurable gift. 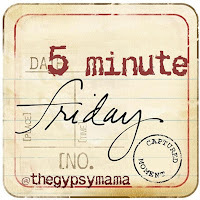 Today's five minute Friday word is Gift. This reminds me of a story I love in Mudhouse Sabbath by Laura Winter. 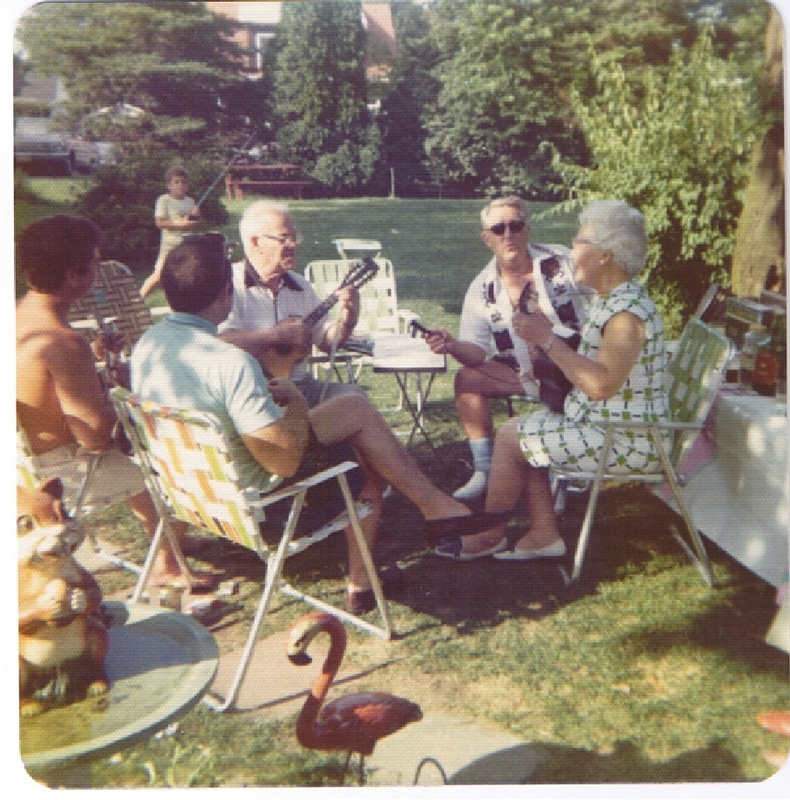 That first photo brought back so many memories with my grandparents in the summer. My grandmother got dementia, didn't know how to brush her teeth or pull up her pantyhose but she could tell you what happened on a sunny day fifty years ago - in detail and say the Lord's Prayer every day before breakfast. Love that your family is musical. What a gift! "She's falling asleep to all that she has known except the lyrical and melodic. Music reaches us in places that are untouchable by other means and cements its place there, a finger in wet cement scrawling, "Music was here," that hardens through the years into immeasurable gift." I loved that last part. Beautifully written and true. You know I can still remember all the harmonies to every choir piece I ever sang....it's there, ingrained in me, like riding a bicycle you never forget. Your lovely piece brings back memories to me as well. Riding in our car, to and from blueberrying, singing together. Wonderful remembrances! Thanks for sharing! Beautiful post, from the sunny delight of its beginning, and that happy picture, and words about kazoos, all the way through your poignant, lyrical lines about music's memories even with dementia. Yes, those songs -- along with "psalms and hymns and spiritual songs" -- have a way of cementing themselves into people's memory better than almost anything else. You prove music is "an immeasurable gift." Another 5-minute wonder! Blessings! I always wished I was musical. I can't even hear a key change in a song. Still, music can move even someone like me. It is a gift. And I wonder sometimes when we finally see all those saint and angels singing praises, how much more magnificient the sound will be. 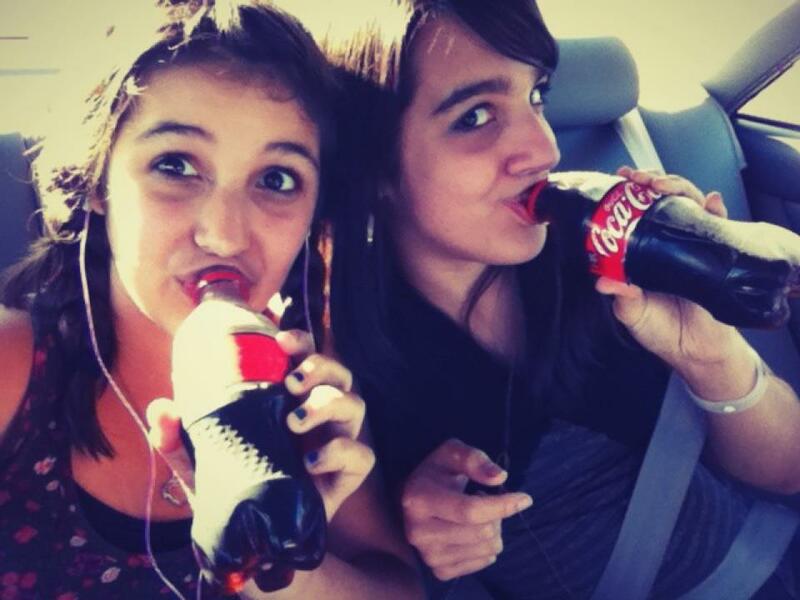 Thanks for sharing, I hope my our daughters share a similar bond.